As announced in a video package last Monday, the "Lone Wolf" has now taken his talents to Raw as part of the Superstar Shake-Up. The best case scenario for the former Andre The Giant Battle Royal and Money In The Bank winner is to be shot to the top of Monday Night Raw's suddenly shallow top card. With names like Brock Lesnar, Roman Reigns, Braun Strowman, and Bobby Lashley being the only ones at the top, there definitely is room for another and it is highly possible for Corbin to enter the Universal Title picture as well. With Vince McMahon rumored to have big plans for the former NXT standout, this might just be good news for all Corbin fans out there. The top half of Raw's mid card picture is no slouch as well with names like Seth Rollins, Finn Balor, and now Sami Zayn and Kevin Owens possibly joining that list. With names like Jason Jordan and Dean Ambrose possibly returning soon, that only gives the "Lone Wolf" plenty of names to go up against. With The Miz's departure to SmackDown Live as part of the Superstar Shake-up, that leaves the Intercontinental Title picture one heel short assuming Owens and Zayn decide to terrorize someone else other than the current Intercontinental Champion Seth Rollins. Corbin is no stranger to gold having held the United States title once already as part of SmackDown Live which only shows that he is capable of holding gold in the WWE. Monday Night Raw has been the home to a lot of squash matches to fill up those three hours of airtime. To those who have been following Baron Corbin since his NXT days, they are familiar with the squash angle where Corbin would face either a local or an enhancement talent and the crowd in attendance would do a count-off as to how long it would take Corbin to finish his opponent in the ring. A smart way to fill in some dead airtime is to bring back this angle instead of the multiple replays the WWE plays more than twice on the same night. Not only will it be a good filler, it also makes up for good storytelling just like the Master Lock Challenges or even as high as the John Cena open challenges. A man with two belts? Braun Strowman may have needed Nicholas to become a Raw Tag Team champion but the "Monster among Men" isn't a Lone Wolf. Corbin on the other hand can be booked in pretty much the same storyline except hogging all glory and holding both tag belts. Although this may be the one farthest from possible in terms of booking options, it still is an additional storyline and another title reign for Corbin. In a show that runs three hours a week, there are a plethora of options at the top of the card for Baron Corbin provided he delivers on everything that is given to him. With Vince McMahon seemingly still high on the former NFL player, he must make sure to make those future opportunities count and not get in the wrong side of things backstage. The only thing Corbin needs right now is a conscious effort to be the best. 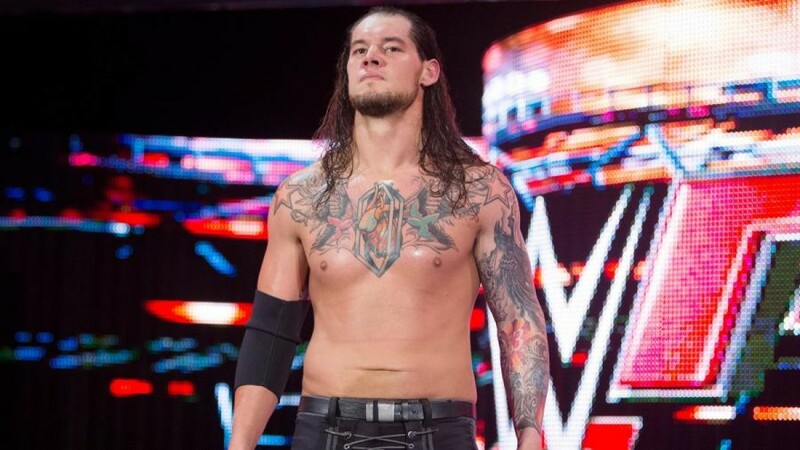 Do you think Baron Corbin is a good fit for Monday Night Raw? Let us know on the comments below.